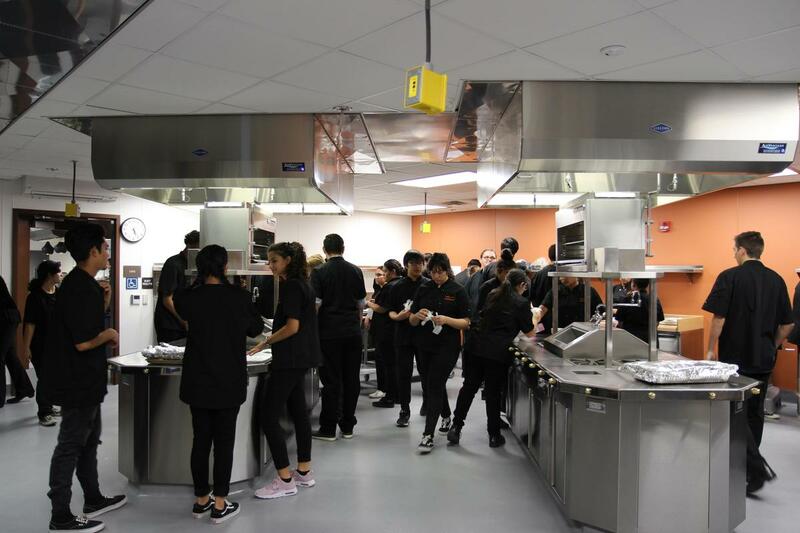 San Jacinto High School has a shiny new Culinary Arts facility, already put into action for the ribbon-cutting event held on October 24, from a dream made real through a 3-year Career Technical Education (CTE) grant from California Department of Education (CDE) awarded in Feb. 2016. 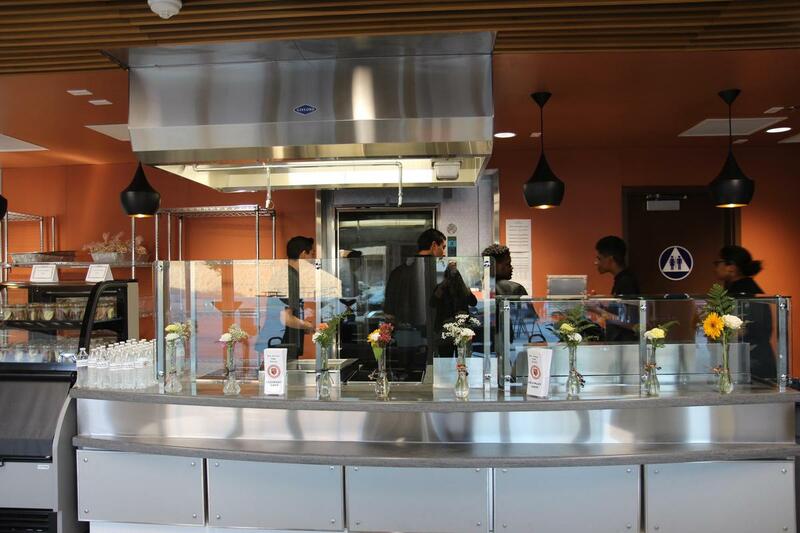 Two classrooms and an unused snack bar in the school’s 500 Building were repurposed for a total of 4,080 sq ft of adjoining rooms consisting of a classroom with instructor cooking island, a commercial cooking laboratory, and a cafe room with point-of-sale/display case. “Notice of the grant was released in October 2015, and designed to enhance an existing CTE pathway. 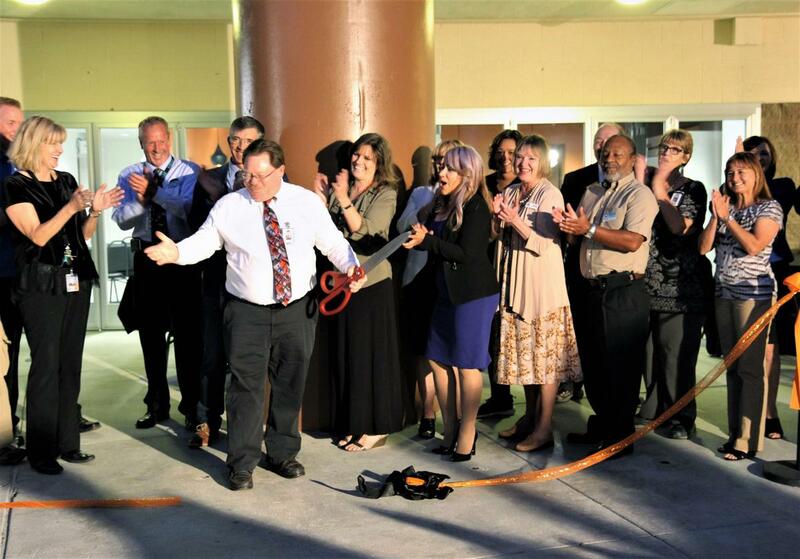 Our Culinary Arts pathway had grown significantly since 2011 under the guidance of Teacher Debra Ward,” explained Dr. Vince Record, SJUSD’s College & Career Director. “Yet, they were still operating in the Home Economics classroom I had attended as a student in the 70’s,” he shared. Dr. Record noted that the simple application was originally due on December 21, 2015, but the CDE website kept crashing. “I tried everyday starting on December 15, even during the winter break to submit the application, and to my surprise on Christmas morning, it worked,” said Dr. Record. “There was a Santa Claus!” he exclaimed, sharing that SJUSD was the first to submit an application. The high school’s Culinary Arts program seeks to provide a school-wide culture where students are encouraged to pursue career pathways in the food service industry. Their priority is to provide hands-on training in basic and advanced culinary skills. Students are taught enhanced job competencies and are involved in relevant work-based experiences. The construction project’s design team, lead by HMC Architects of Ontario, brought in equipment and headsets in 2016, and helped SJUSD staff virtually walk through the planned teaching and learning spaces methodized by Dieli Murawka Howe Food Service Designers of San Diego. 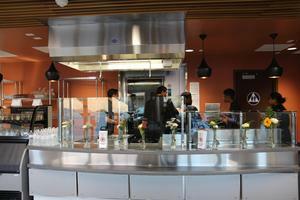 Besides the CDE grant, other funding resources were used for the $3,075,000 cost of the new facility, with the majority spent on commercial-grade equipment including refrigeration units, multiple open burner stoves, commercial mixer, deep fryer and countertop induction skillet, just to name a few. “Each one of our 85 students in the program are extremely excited to start working in the new facility,” shared Culinary Supervisor Jeannie Duistermars. “We are looking forward to the room we’ll have for our upcoming catering events,” she noted. 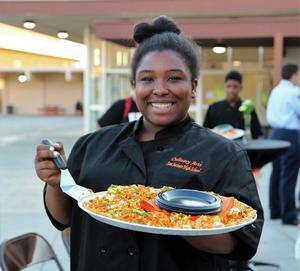 For more information about the Culinary Arts pathway, contact Instructor Debra Ward, dward@sanjacinto.k12.ca.us or Supervisor Jeannie Duistermars, jduistermars@sanjacinto.k12.ca.us, 951-754-7374 x2512.